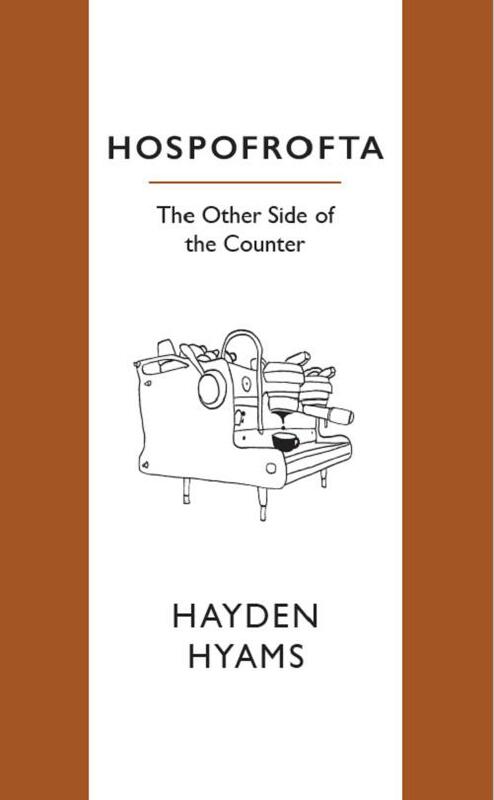 Hospofrofta : The Other Side of the Counter, ISBN: 9780994138316 - available from Nationwide Book Distributors Ltd NZ. Hospofrofta is a colloquial, autobiographical dialogue centred around the Auckland cafe scene. It dishes dirt, offers conclusions and revels in indignation. It contains checklists for cafe buyers and sellers, a selection of cafe reviews, a rundown on some important figures in the scene and even a political manifesto. There is, of course, the obligatory recipe pages – although presented in a slightly irreverent fashion. Anyone who’s ran a small business, drank coffee or made coffee should find themselves in a literary fugue of empathy when reading Hospofrofta. ABOUT THE AUTHOR: Hayden Hyams has co-owned five cafes in Auckland over fifteen years and worked in countless others. He has experienced the trials, tribulations and fleeting moments of satisfaction that come with being a small business owner.